Not even the gnarly little fingers of Geny can influence the priests here to take away the crucifix at the center of the altar! 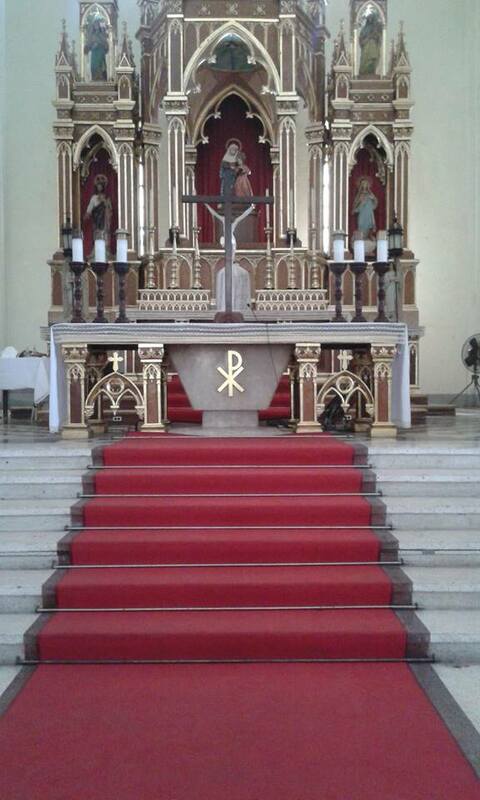 Bring back the crucifix at the center of the altar, not on the side, but at the center and on the altar! This is the Benedictine Altar arrangement. Benedictine meaning from the liturgical influence of Pope emeritus Benedict XVI and not the Benedictine monk who started the liturgical nonsense in the country. TPC Kudos to the parish priest of St. Anne Parish in Iloilo! You make your church befitting as a house of worship! God bless you Father!!! Kudos too to the TPC reader who sent this via Facebook. A new "religious item" inside San Bartolome de Novaliches! 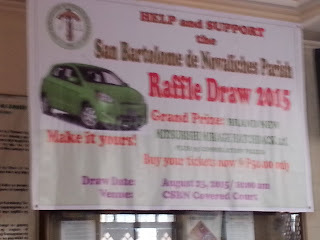 While "great" liturgists would like to take away the altar crucifix because it is "too distracting" and blocks the uber cute face of the main celebrant during Mass, there are those priests who would not think twice to place a vehicle inside the church as a "juicy" reminder for people that this is what is at stake for their fund raising raffle like this one in San Bartolome de Novaliches. This church gained the notoriety of always coming up with fund raisers only to be gone as fast as an Advil Liquigel in your tummy! But is this the best place for the car? 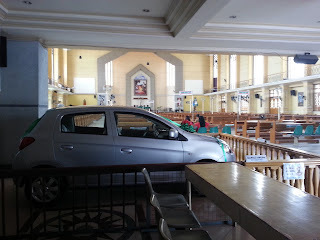 San Bartolome de Novaliches is a big church and I have seen it many times that I visited that church. There is a lot of space there where they could display the car. If they can value a car like this, maybe they can do that for MUST SEE IMAGES in the church, no? Like an altar crucifix and more images? 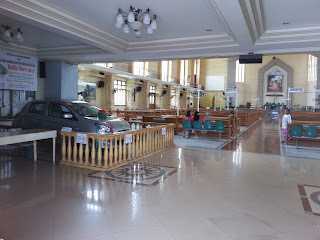 I see more electric fans that images in that church. PS: Thanks to a new GULP member for these! 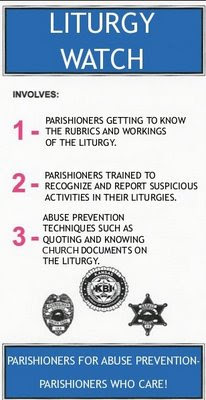 But the GULP (God's Undercover Liturgical Police) is everywhere and they always report to TPC. And here is what they do not want to be seen. No wonder they do not want this seen. Obviously, while most of us Filipinos admire the beauty of San Agustin Church, these Augustinians need something "creative" to do to make the Holy Sacrifice of the Mass more "appealing" and "more meaningful" or "more in tune with the times". The lobby of the seminary is appropriate for them for the worship of God. Obviously, they had enough of the UNESCO World Heritage Site Church that tourists all around the world would love to visit. 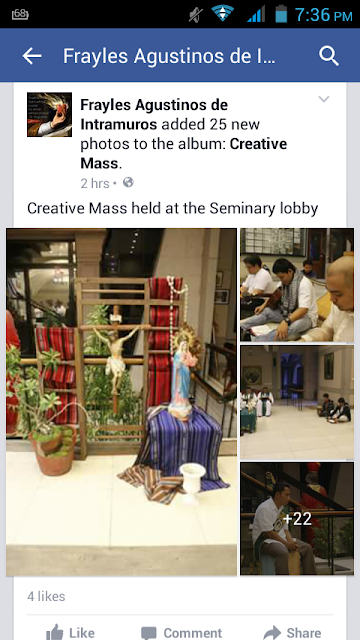 The seminary lobby, for them, is more appropriate for the Holy Mass than that church we call San Agustin Church. If you have priest and seminarians like this, how do you expect them to act in holy matters? You see more respectful things happening in a secular event like a graduation ceremony of the change of command in the PNP and AFP. The GULP informer who shared this to me will be sending more photos soon. This is a screenshot of an entry in FilipiKnow.net from a TPC reader. This came from an article entitled 9 Philippine Icons and Traditions That May Disappear Soon. In what could be something providential, this screenshot came into my mailbox just a few minutes after I posted this about the defenders of the Sampaloc Catholic church masquerade ball. 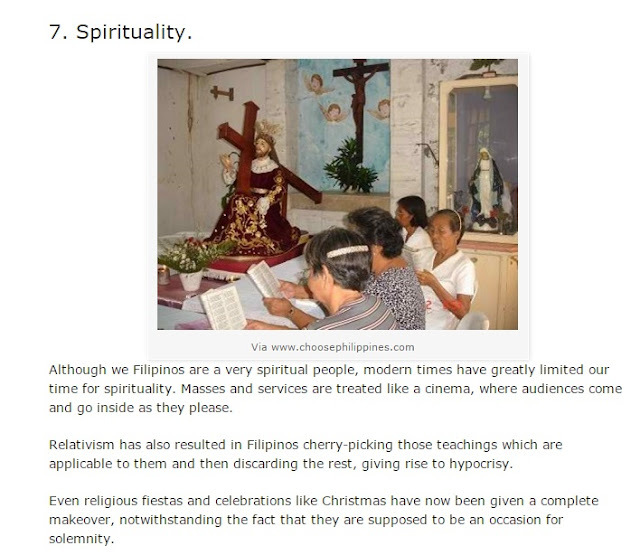 A secular website hits it right on head when it identified the causes of our dying spirituality. We pride ourselves to be the home country of one of the most "renowned" liturgist of the Catholic Church yet our Masses have become sources of entertainment, treated as if it were a game show or a theater play. Narcissist priests! That's what's killing the Church from within. And add to that spineless bishops who can't even muster the strength to confront a university within his diocese who openly supported the RH Law which is in complete disobedience to the teachings of the Catholic Church. But when you see this bishop, he chuckles like a Sesame Street character you'd think "Hmm! Everything seems alright..."
For him it is alright, even if that university continues to lead Catholics away from the Faith from a society of priests and brothers founded to combat heresy. Hey! If you can't beat them join them no? Retired Lingayen Dagupan Archbishop is right. He said that if all the Catholics in the Philippines would come to Mass on Sundays, all the Mass schedules and all the churches wouldn't be able to accommodate all the faithful coming to worship. We pride ourselves to be the only Catholic nation in Asia yet we cannot even bring our people into our churches every Sunday. We pride ourselves to be the only Catholic nation in Asia yet we have allowed the passage of the Reproductive Health Law. We pride ourselves to be the only Catholic nation in Asia yet we are riddled with corruption in and out of government. Does it need a regular visit from the Pope to enliven our faith? Even if the Pope would stay in the Philippines, do we even know if the Katipunan University will stop its relativistic, ok I'll say it, HERETIC teachings? 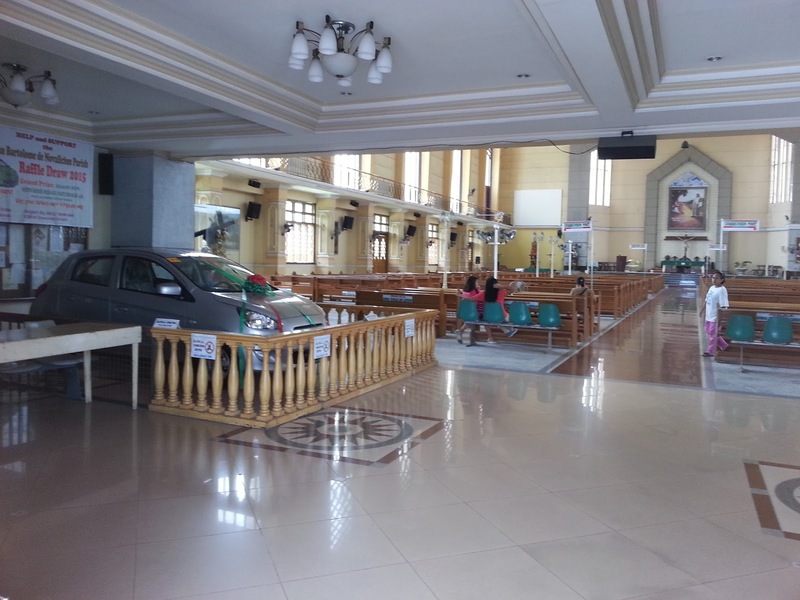 What does the Catholic Church in the Philippines need? We need holy priests and it starts at the seminaries. 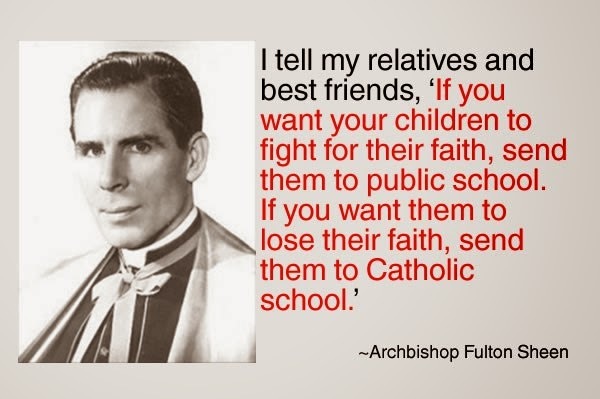 We need seminarians who are not educated under heretical schools like Maryhill, St. Vincent and all those schools identified by The Pinoy Catholic since 2009. We need seminarians who want to be ordained not because of the status symbol or fringe benefits of the state of life, but because they want to save souls for Christ. 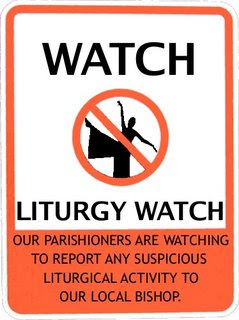 This means, to BAN these posers, these altar servers FOR LIFE who go around parish after parish, Mass after every Mass, school after school, who carry either a black cassock and surplice, or an alb, and claim to be Master of Ceremonies or instituted acolytes, selling holy cards or relics! They are a danger to the Faith and they are out there to take advantage of people! We, the people of God, must do this for ourselves. We must remain vigilant and active at the same time. 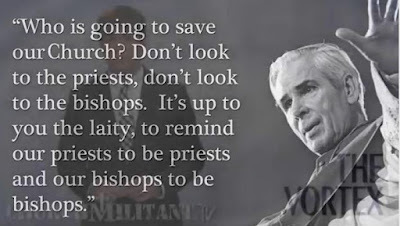 Stop going to Masses of these narcissistic priests! Stop supporting their causes and instead support priests who are loyal to the Church and to Tradition. Stop liking or sharing whatever they share in social media. You are fueling their narcissism. Stop sending your children to these heretical universities who support Reproductive Health and the LGBT Agenda. These talk about Tolerance and Acceptance only applies to them and not to those who disagree with them. 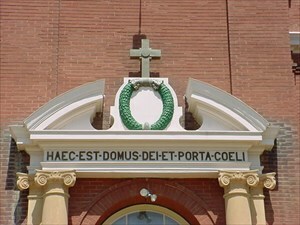 They do not tolerate faithful Catholics. They do not accept Catholics who openly criticize their anti-Catholic agenda. They silence people who do not agree with them, but are very warm and supportive of anyone who is against the Catholic Church. Yes, that means you too Miriam College. We deserve the bishops, priests and religious that we have. Why? Because we tolerate the bad ones and do not support the good ones. 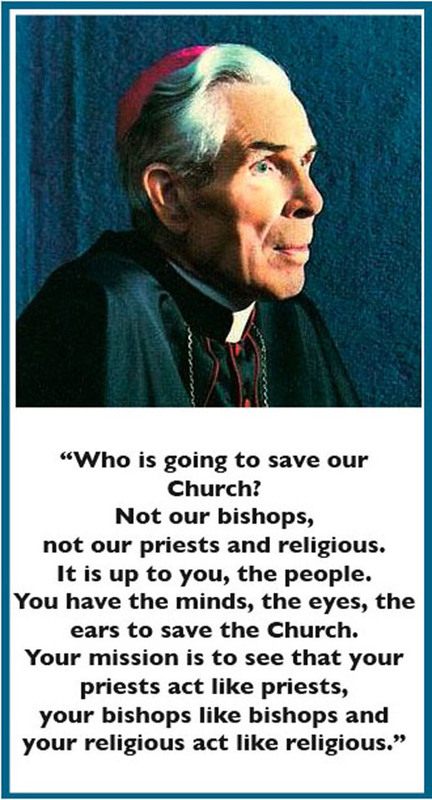 If we have so much good bishops and priests out there, why is this happening to the Philippines? 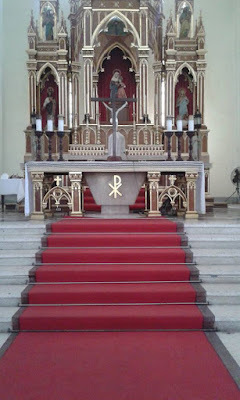 So for some people, when you get the Blessed Sacrament out of the tabernacle, you do not touch the consecrated altar table, then you can use the entire church for whatever purpose you would want to use it. Like for a masquerade ball. For them, it is justified to use the house of worship as a place to party. Yes, dear TPC readers. You read that right. 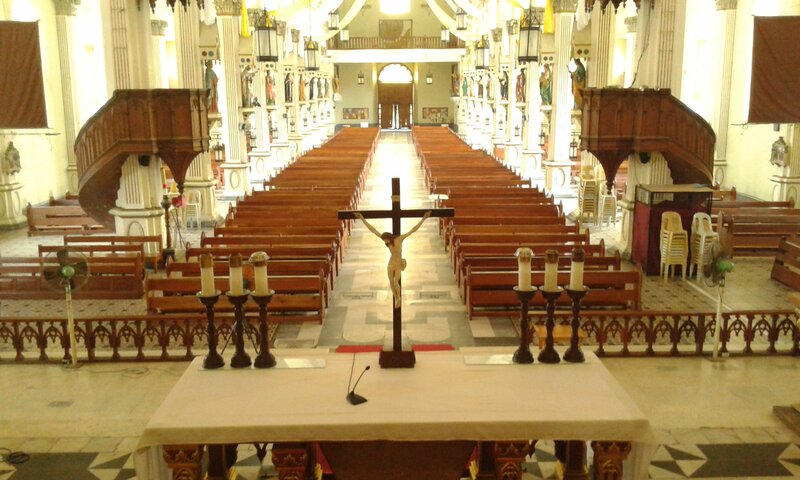 A Catholic group can find the justifciation to do that to a place reserved for the worship of God, for as long as you empty the Tabernacle and you don't mess around with the altar. That is their concept of what the house of worship is. Churches used to have this. 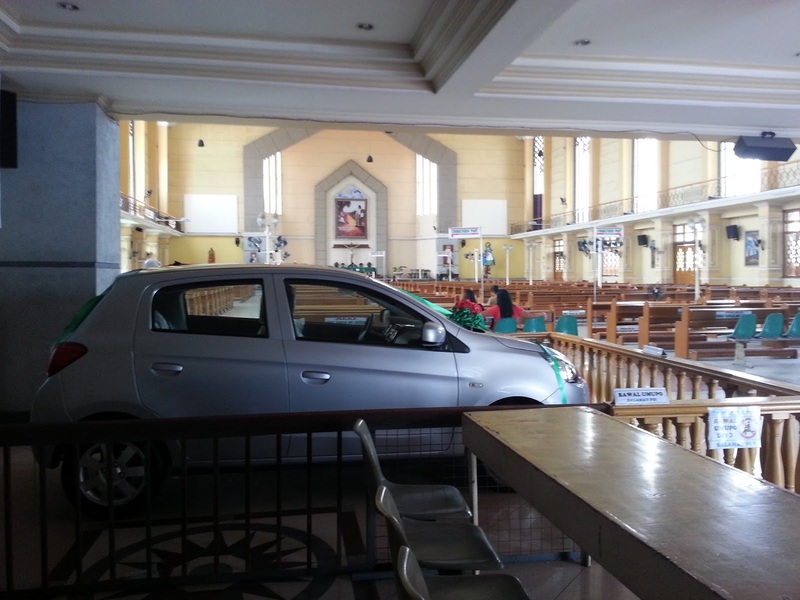 Here in the Philipppines, I always see this in San Fernando de Dilao Parish Church. 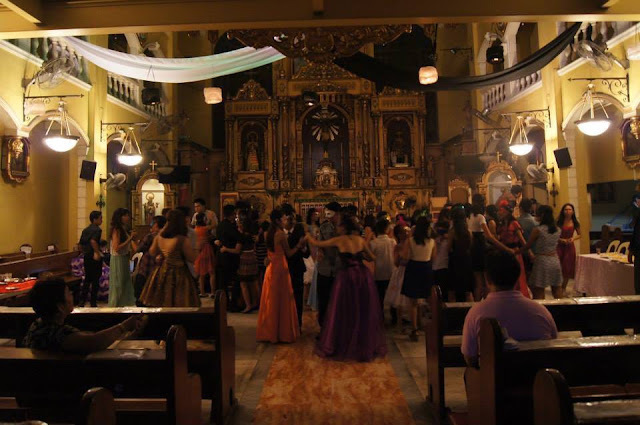 A Catholic cathedral, basilica, parish church, shrine, chapel or oratory is ALWAYS reserved and MEANT to be a place of worship and NOT for any kind of partying! A justification from your parish priest does not JUSTIFY what you did to the House of God! And their tirade cited a rant of the lunatic, walking blob of a pea brain. Wow! Call that scholarly. Teeeheee!!! Are you open for masquerade ball reservations? Seems these people don't have any concept of sacred space anymore, no? Maybe we can try this. Maybe they are willing to have their own bedrooms rented out, well, we are not "desecrating" their rooms. We are just using it for the meantime. If they can go ballistics over this suggestion, maybe they can use that same energy to think how wrong it was to use the church for a party!